I wrote this week's Last Word on a cheesy record a friend found in a thrift store. It's full of songs about how great this region is, and listening to it will make you cringe and maybe feel a little proud too. But it turns out we weren't the only ones to get this gift of marketing kitsch. Records like Taking Pride in the Inland Northwest were made for lots of other cities and regions, and they're all nearly identical. Read more about that here. After my deadline had passed for the story, I finally got in touch with the recording engineer who edited these generic songs in a Nashville studio (to his credit, he didn't write them). 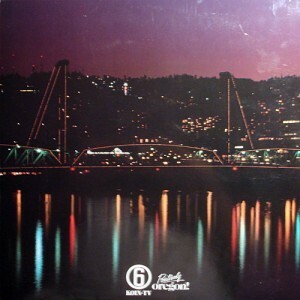 In a deep Southern drawl, Gary Laney told me he didn't remember much about editing these, except that the work came from someone who wanted to sell the record to cities across the country. It wasn't, Laney added, the height of his own career, which he says also included working on albums with country artists like Johnny Cash and Alan Jackson. When he asked why I was writing about the album, I told him that when I heard about it, I wondered why anyone would make something like that. His response: "I probably wondered the same thing while I was working on it." Here, you can listen to all of the tracks from Taking Pride in the Inland Northwest and a few from their cousins in Topeka and Portland. Enjoy. 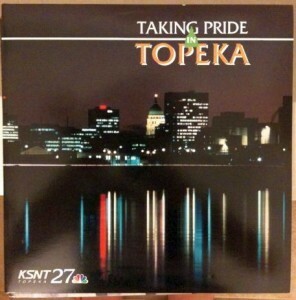 Hear "Taking Pride in Topeka" here and "Celebrate Topeka" here. Listen to the entire Taking Pride in Portland album here. 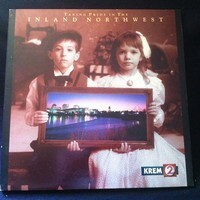 Thanks to Matt Dargen for the Inland Northwest uploads, and to the MPM and Trent Johnson for the Topeka and Portland songs, respectively. Speaking of Last Word , For Fun!